This has been adapted from a blog post that first appeared on Strat.Buzz and was pulled from our friends at ASPI’s The Strategist. In the last two weeks, there have been a number of articles circulating (including here, here, here and here) that Indonesia has formally recognised a territorial dispute with China in the South China Sea. This policy is of course not new. 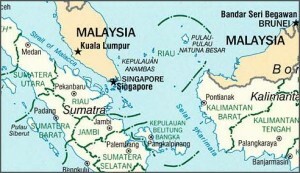 Jakarta lodged a complaint with the UN in 2010 regarding the nine-dash line. In fact, Indonesia has consistently argued for the importance of the Natunas and how it should handle the South China Sea since the mid-1990s. I’ve described Jakarta’s key interests in the Natunas elsewhere. Daniel Novotny’s book also has a long list of quotations from various Indonesian policymakers since the 1990s that basically echoed Commodore Zaini’s sentiments: Indonesia is concerned that the Natunas and its EEZs could be endangered by China’s nine-dash line, but it will never officially admit a dispute with China because that would give credence to Beijing’s claims. Former Foreign Minister Ali Alatas perhaps said it best, ‘the repetition of an untruth will eventually make it appear as truth’. For one thing, the ‘flashpoint defense’ (and the role of the Natunas in it) and the military modernisation plans have been on the books since the mid-2000s and publicly described in 2010. Evan A. Laksmana is currently a Fulbright Presidential PhD Scholar in political science with the Maxwell School of Citizenship and Public Affairs at Syracuse University. He is also a researcher with the Centre for Strategic and International Studies in Jakarta. Image courtesy of Wikipedia.